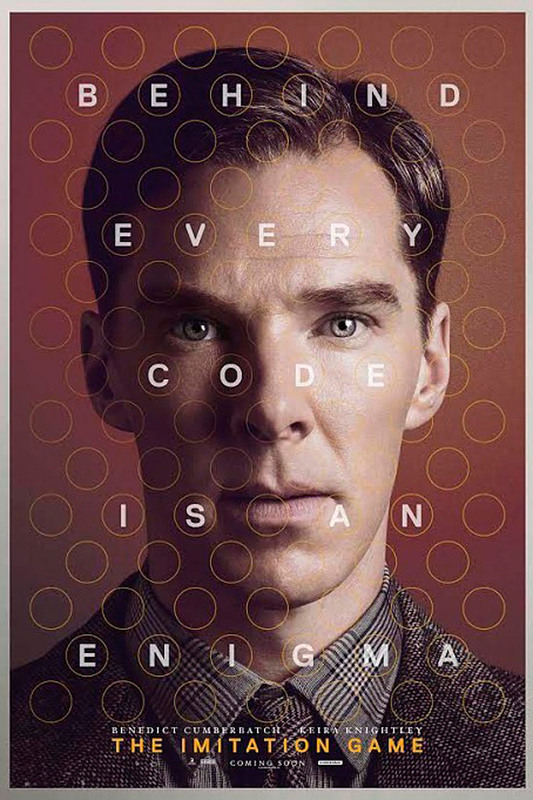 On New Year’s Day we saw The Imitation Game, the absolutely must see movie that follows Alan Turing’s life and his secret work to crack the German’s Enigma code during World War II. Whether you know anything about Alan Turing or not, I highly recommend seeing the film. It tells a wonderful story about an amazing man and his struggles being both a socially awkward genius and a closeted homosexual. The pacing of the story is just right and the build up to the ultimate climax and breakthrough are amazing. The Imitation Game joins The Theory of Everything as not only one of the best films of the year, but also one of the best biographical films in recent years. I can’t recommend both films enough. Alan Turing’s arrest and punishment (chemical castration) for being gay are an absolute outrage, and it’s hard to believe just how recently humanity has done horrible things to those who chose to live differently. Turing certainly lived an interesting life and I’m left wanting to learn more about it. I’m certainly looking forward to reading the biography the film was based on (Alan Turing: The Enigma, Andrew Hodges) and seeing him mentioned in Walter Isaacson’s The Innovators which I bought awhile back but haven’t started reading yet. If Turing’s name sounds familiar you’ve probably heard it in the form of the Turing Test, the test meant to determine whether a computer can “think” enough like a human and fool a person into believing it is a human. You may have read that this past summer a computer passed the Turing Test for the first time. This entry was posted in Movies and tagged Alan Turing, The Imitation Game, The Innovators, the theory of everything, Turing Test. Bookmark the permalink.